Non-invasive, outpatient injection therapy is growing in popularity as a nonsurgical alternative for adults with conditions like Dupuytren’s contracture. Dupuytren’s contracture is a progressive hand condition that affects the palm and fingers, making it difficult to type, shake hands, wear gloves, reach into pockets, or perform numerous other tasks. The layer of tissue just under the skin can develop an abnormal build-up of collagen, a protein that’s found in tissues throughout the body. 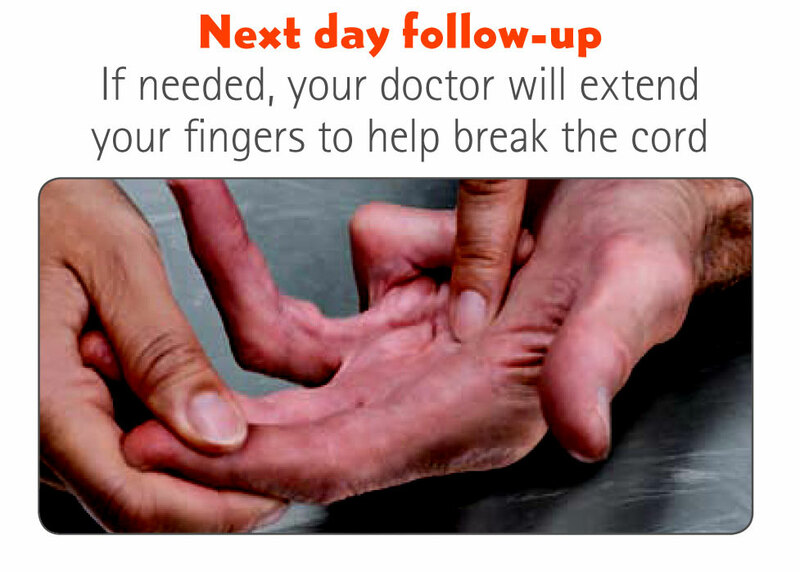 In Dupuytren’s contracture, this collagen builds up and over time can thicken into a rope-like cord in the palm. This can lead to reduced range of motion with the fingers, or the fingers curling into the palm which the patient is unable to straighten. The contracture progresses slowly, and is usually painless. Dupuytren’s contracture is often mistaken for arthritis or other conditions. Until recently there have been limited nonsurgical treatment options. Xiaflex is the first and only FDA-approved non-surgical treatment for this condition. To find out if Xiaflex is right for you, speak with one of the doctors at The Bone & Joint Institute. We have experience with all of the latest treatment options. 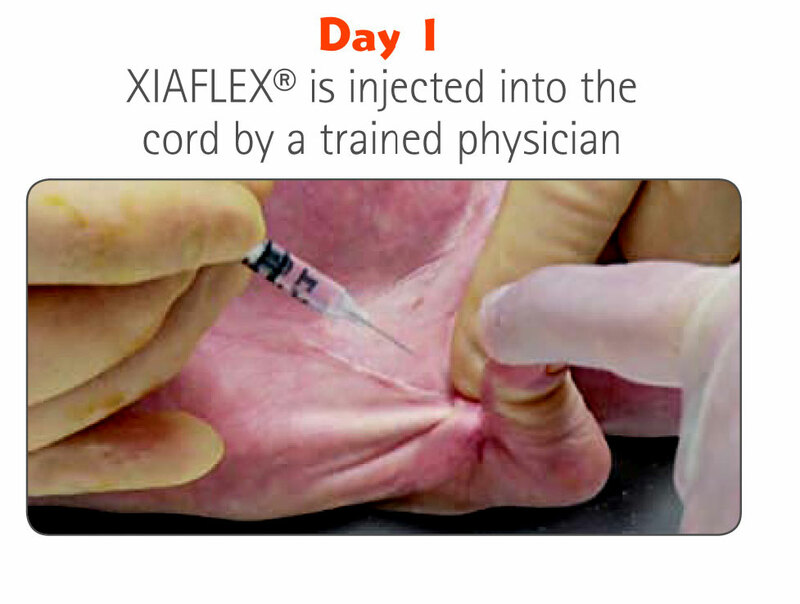 Xiaflex contains a mixture of enzymes is injected directly into the Dupuytren’s cord to help break it down, and allow the fingers to straighten. The procedure requires no incisions and is performed right in our offices, for your convenience. Following the procedure, your physician may recommend daily finger exercises, and repeating the procedure as needed, up to three treatments at 30-day intervals. 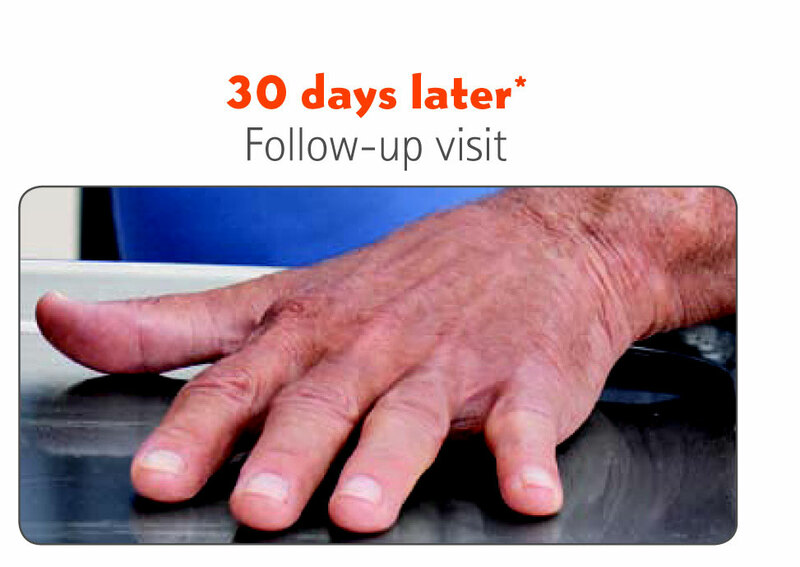 Only your surgeon can help you decide if Xiaflex is the best treatment for your Dupuytren’s Contracture. Talk to orthopaedic surgeons Dr. Lex Kenerly and Dr. Matt Valosen and the staff at the Bone & Joint institute of South Georgia if you have questions about whether non-surgical injection therapy is the best treatment for your condition.